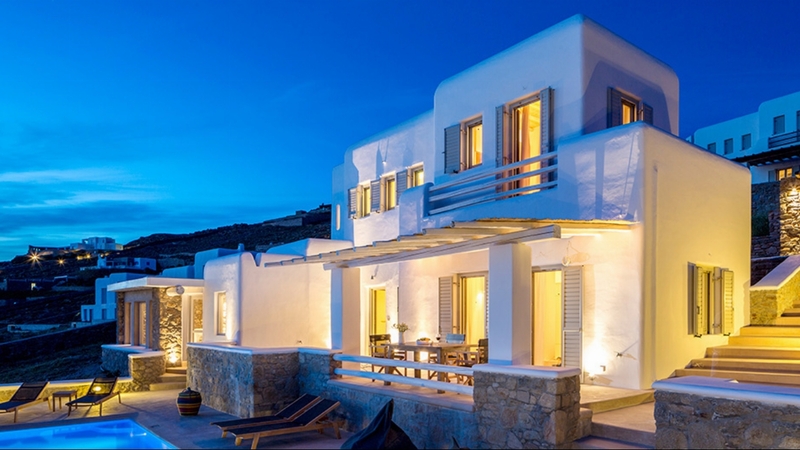 This is truly one of the most spectacular seafront villas, Villa Letti is the epitome of luxury redefined and there are Instagram-worthy shots around every corner. 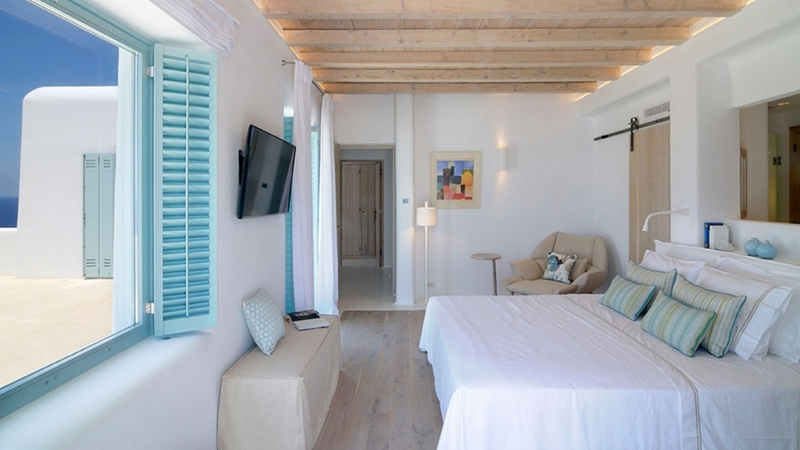 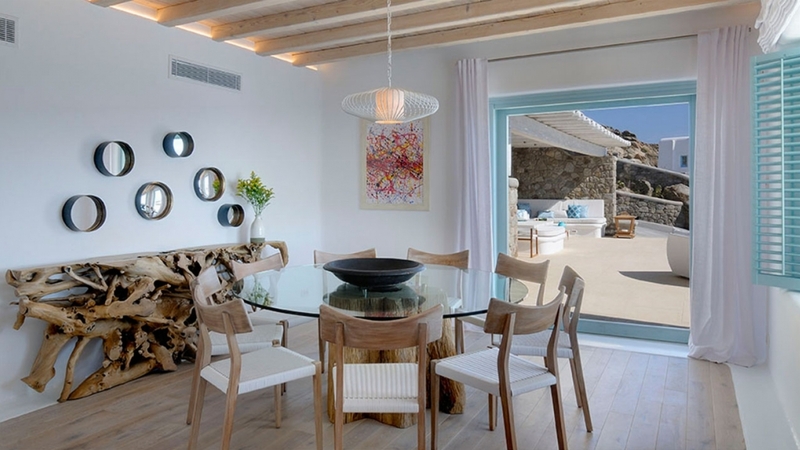 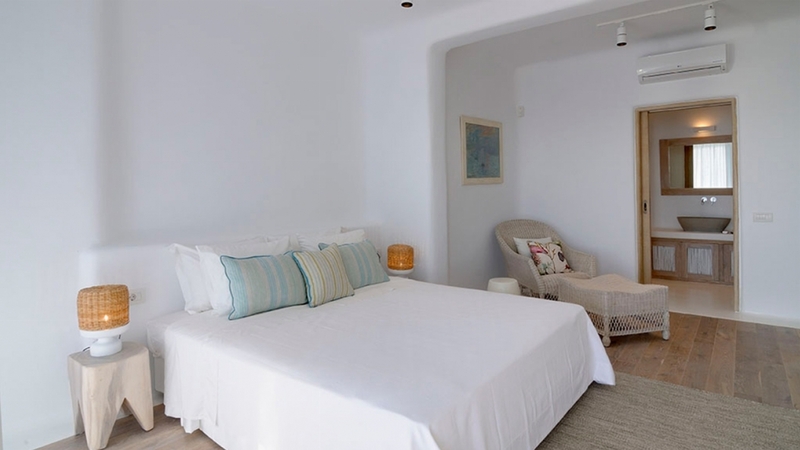 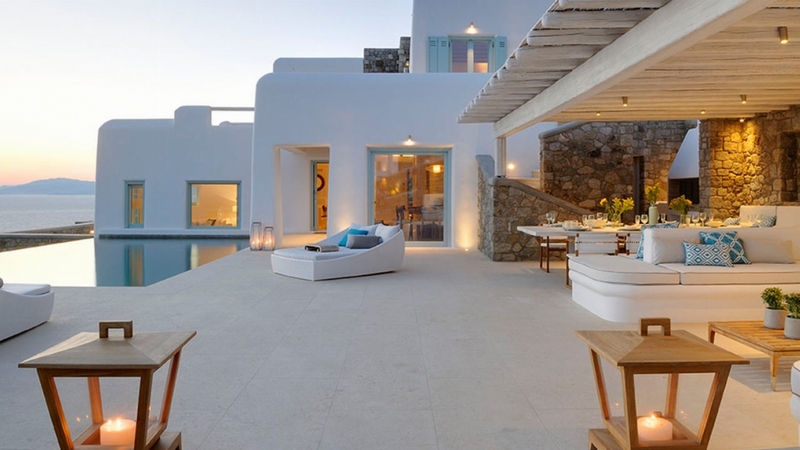 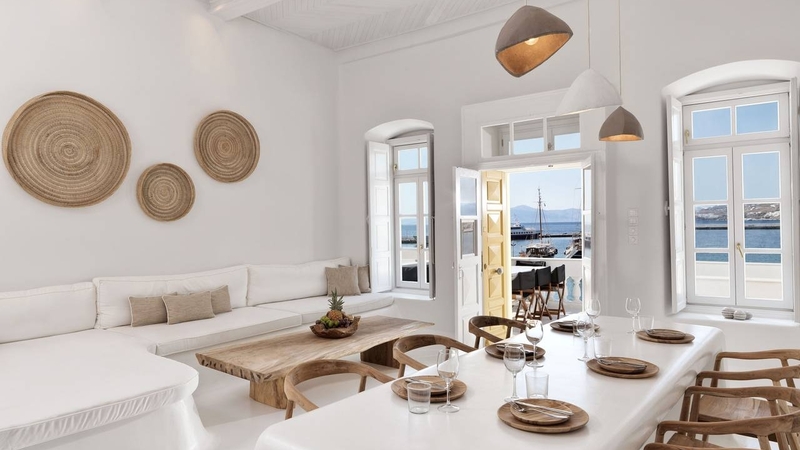 Conveniently located near Mykonos Town and the popular beach of Ornos, the villa is ideal for guests seeking tranquillity, whilst being just a breath away from the busy spots of this cosmopolitan island. 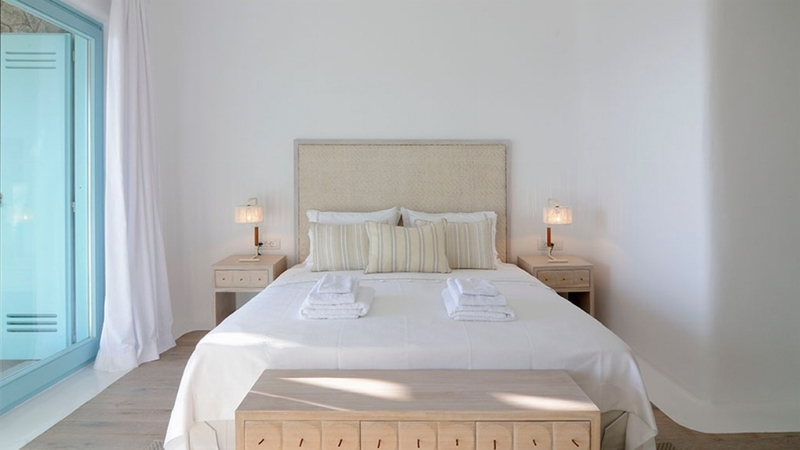 This glorious villa has nine bedrooms scattered over different levels, with independent guest rooms and studios, the villa provides bags of space and seclusion for up to eighteen guests. 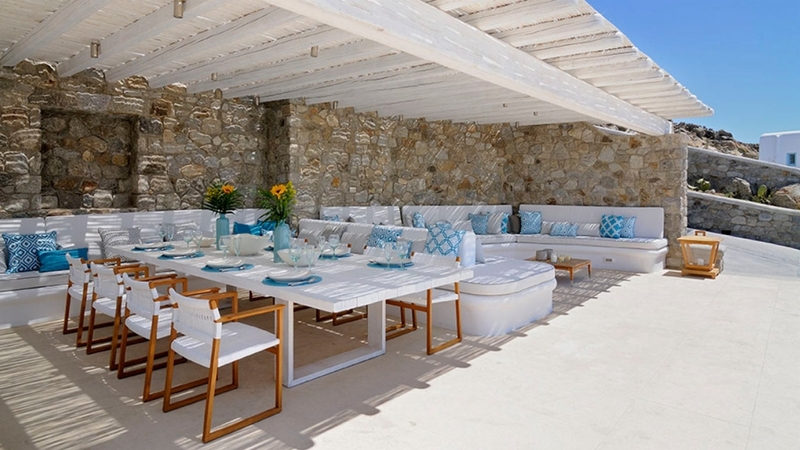 Guests can succumb to pure holiday bliss in the outdoors shaded dining and sitting area, the pool bar or the cosy sun loungers surrounding the infinity pool, all overlooking the endless blue azure sea. 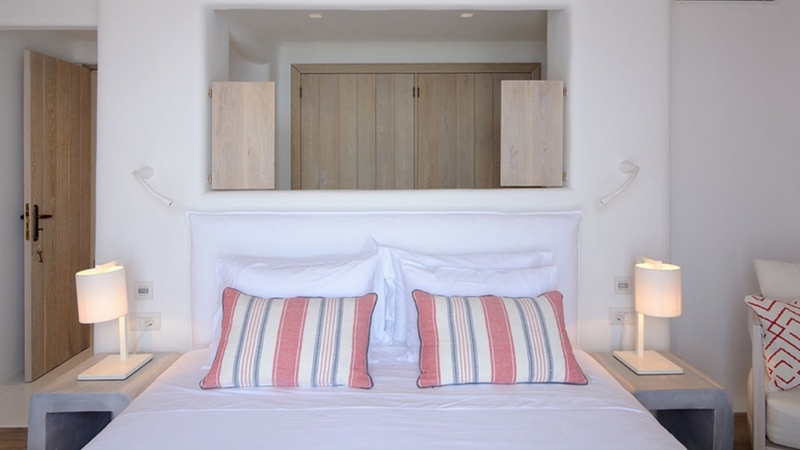 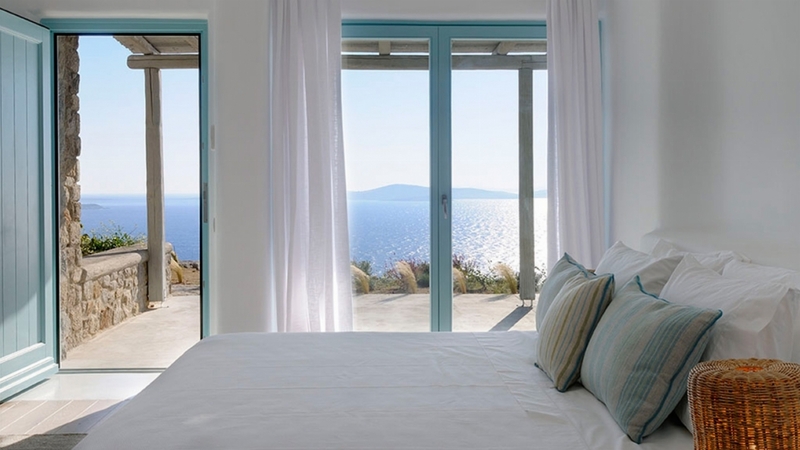 The private terraces of the two guest rooms and guest studios offer additional seclusion combined with superb sea views. 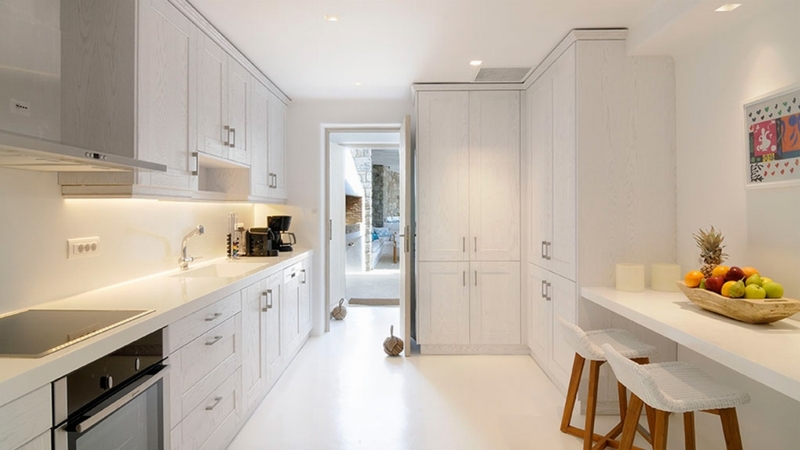 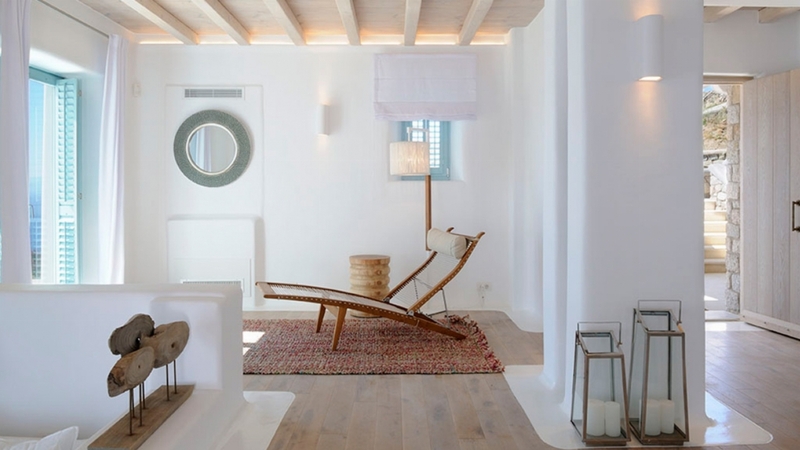 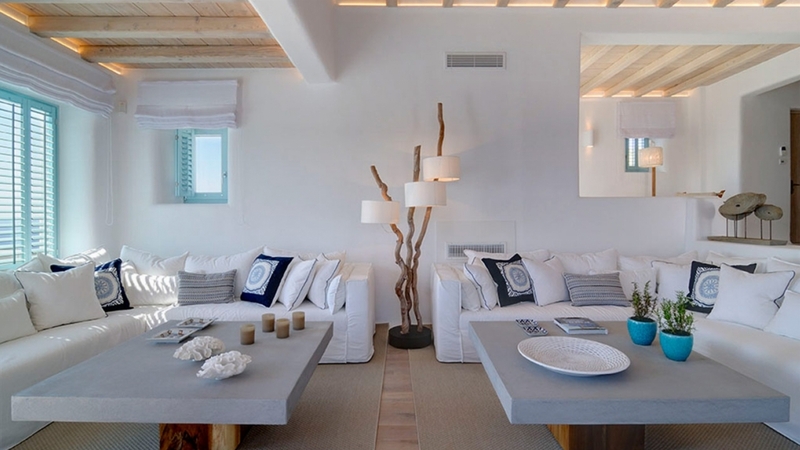 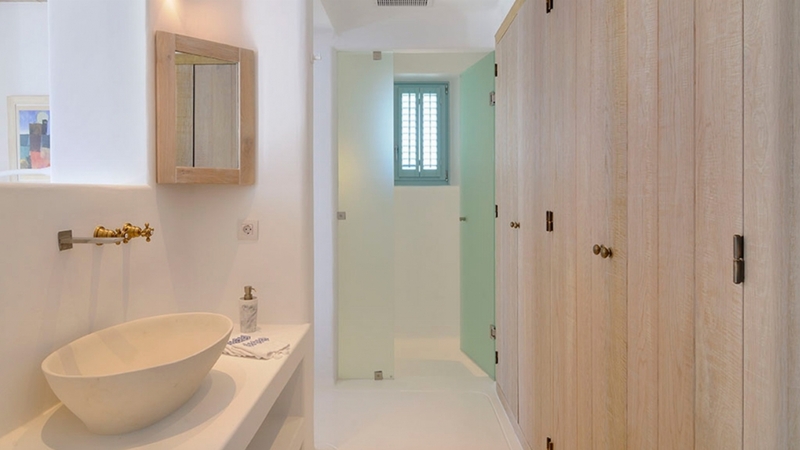 The interior of the villa mixes its white with natural elements – stone, wicker, wood and corals are the prominent materials of all indoor areas, while the light natural colours that dominate exude a sense of pureness and tranquillity. 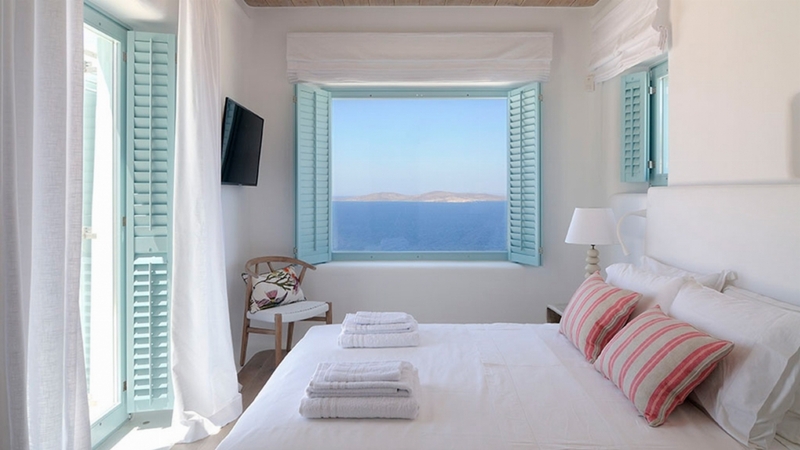 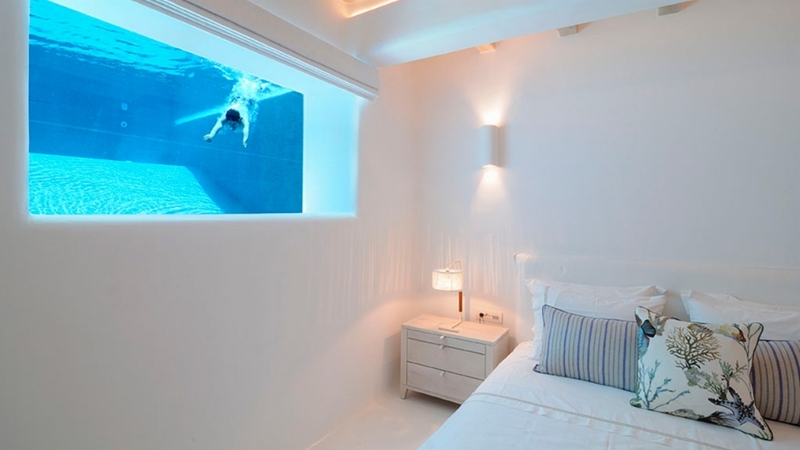 The numerous windows not only provide unobstructed sea views but also drench the interior in soothing sunlight. 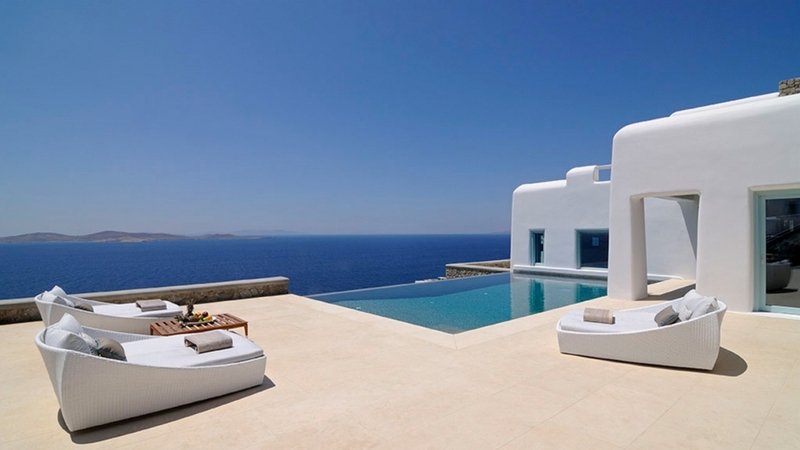 The infinity swimming pool seems to touch the edge of this glorious piece of coastline offering one of the very best views in the Ionian. 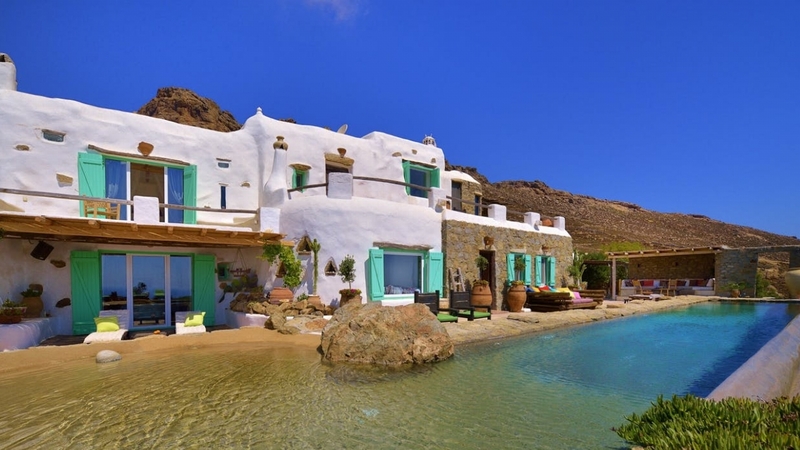 If you can drag yourself away from the pool and THAT view, you can wander down to Ornos beach or visit Mykonos town and experience its cosmopolitan way of life.